My daughter started preschool this past August. She started out doing half-days so I usually didn’t have to pack her a lunch, but I had to pack a snack for her every day she went to school. The week before school started, my mind went blank. She had a lunchbox to pack her snack in with her favorite princess on the front, but I couldn’t figure out what to put inside it. I had to pack something my picky eater would actually eat, but I didn’t want to send her to school with candy bars either. What could I put in her lunch box that she would actually eat and I felt good sending her with? I posted a desperate plea to my friends on Facebook and got a lot of great suggestions. Packing a snack or lunch ended up being way easier than I thought it would be. 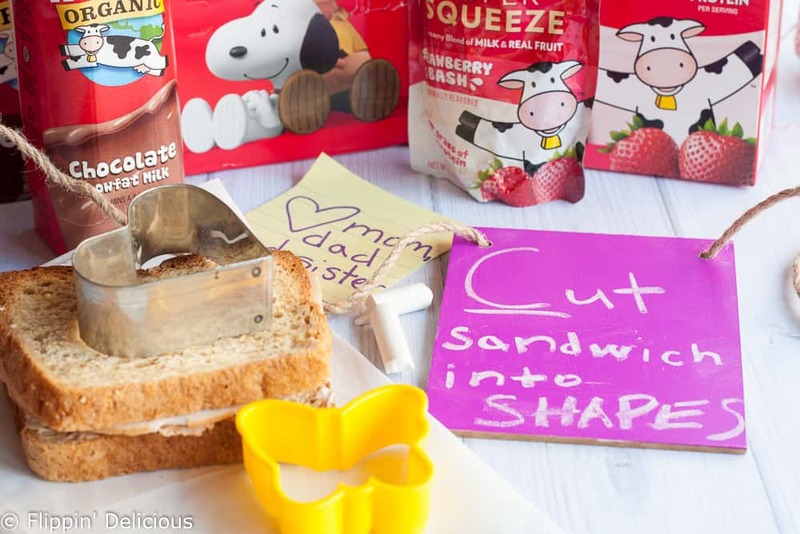 I brainstormed up a few tips that make it easier for me to pack a great lunch box for my daughter. The ABC’s of Packing Lunch. I hope that they are able to help you! Protein is important! My dad trained me as a teenager to always make sure that I always had some protein with every meal. The last thing you want is for you kids to fuel up on carbs and then crash just a few hours later. Horizon has some great products protein-packed products that can really help to make packing a lunch easy. 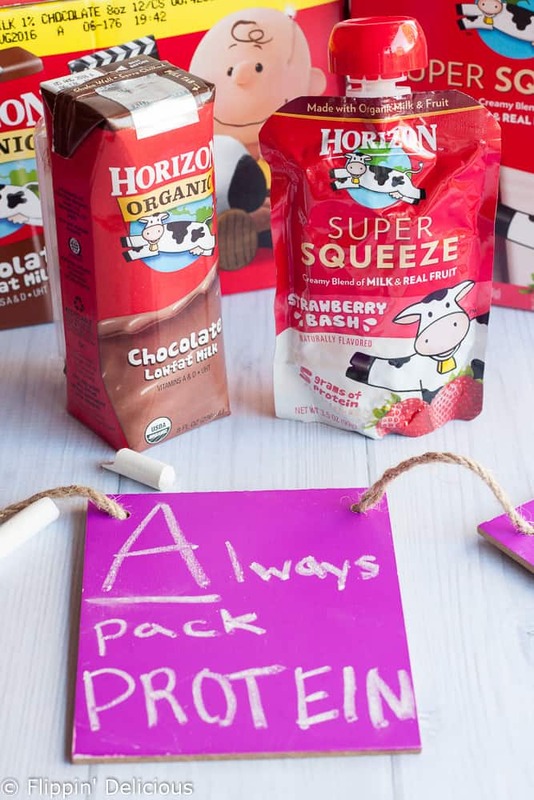 Horizon’s Chocolate Milk has 8 grams of protein (and no high-fructose corn syrup) plus my daughter (and my hubby) love it. 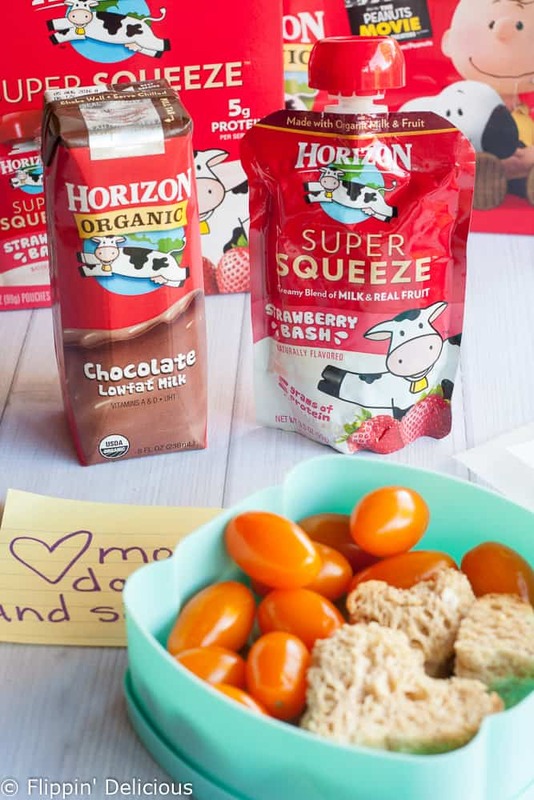 I was really excited to try Horizon’s Super Squeeze milk and fruit pouches. They have another 5 grams of protein and are made with real fruit, plus they have calcium. I tried the Strawberry Super Squeeze pouches and they reminded me a lot of yogurt, but way easier to pack. Coincidentally that is what my daughter normally requests I pack for her snack at preschool. 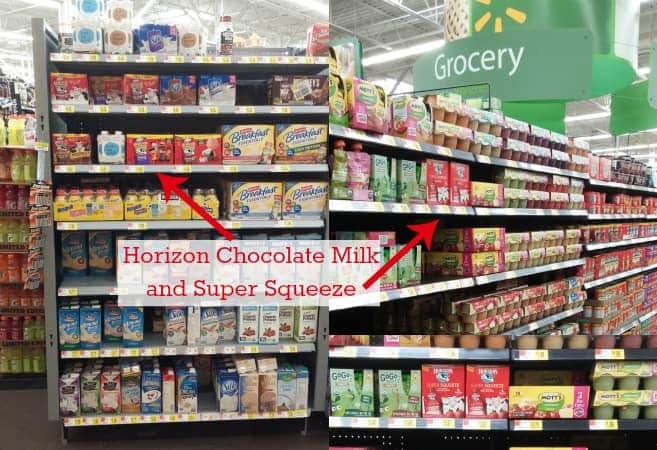 I was able to find the Super Squeeze pouches and the Chocolate Milk at Walmart. I’m not always as creative as I wish I was, but I still try to have a little fun packing my daughter’s lunch. She LOVES it when I pack a love note in her lunch. The first time I did it she walked all around school showing everyone (her teachers, the other students, and the principal) her special note. And it was just a sticky note with a heart! I thought about sharing a lunch box note printable, but them I looked on Pinterest and realized that there tons of great printables for lunch boxes, all way cooler than what I think I could have made. 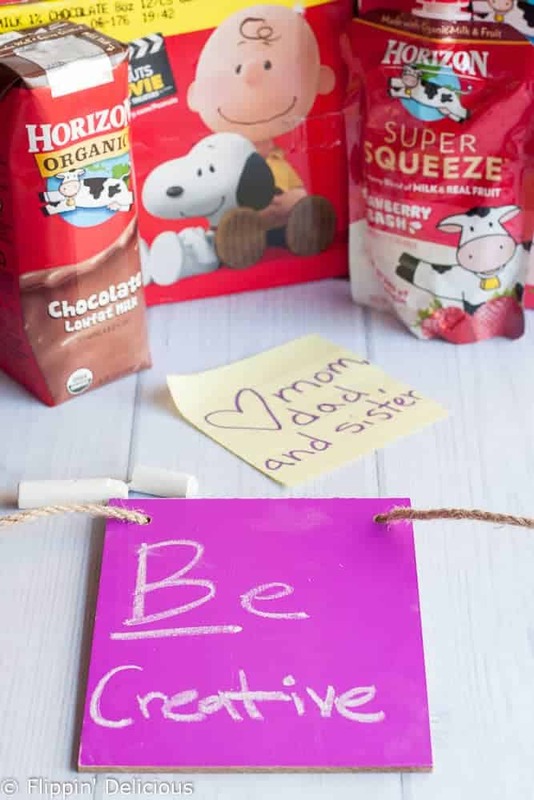 There are even some really cute Peanuts inspired lunch box note printables (HERE and HERE are my favorites) that match the Peanuts Movie packaging on the Horizon Chocolate Milk. The Peanuts Movie came out in theaters on November 6th! 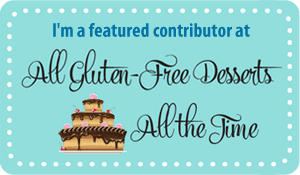 I was inspired by my friend Keeley McGuire , who blogs all about packing allergy friendly lunches for her daughter. 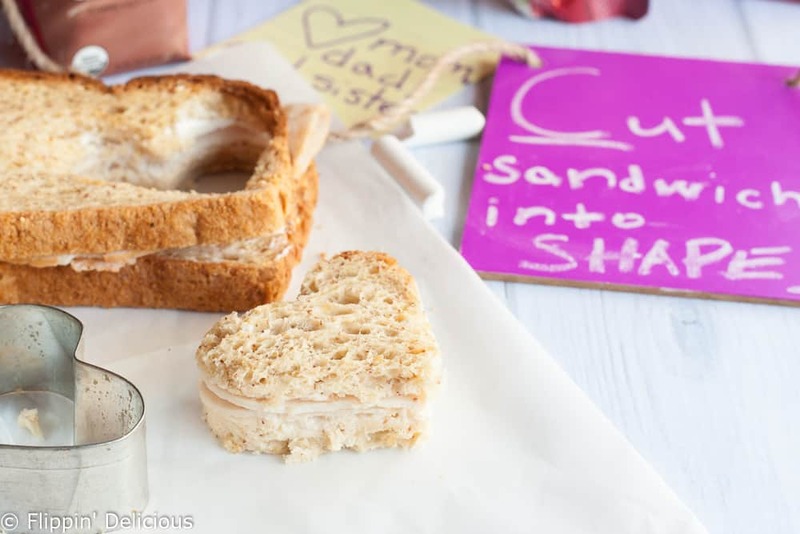 Just this morning she posted a sandwich on Instagram that she made for her daughter, cut out to look like a Thanksgiving Turkey. So cute! My daughter was really excited to eat her little heart shaped sandwiches, with her favorite “baby ‘matoes.” Normally she’ll eat regular sandwiches, but it is fun to make them special every once in awhile. 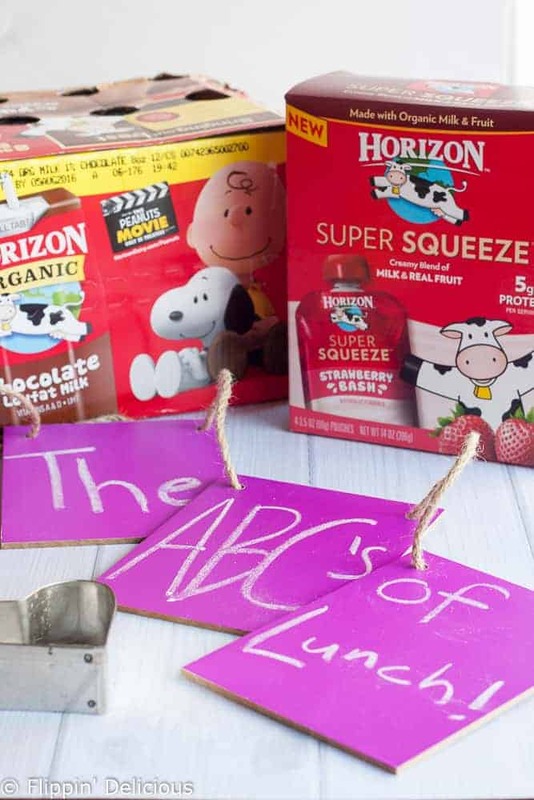 I hope that these ABC’s give you a get your brain juices flowing and inspire your box lunch packing! 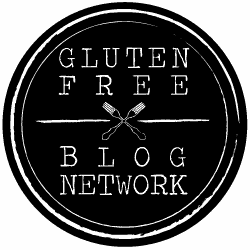 What are your favorite lunch packing tips and tricks?